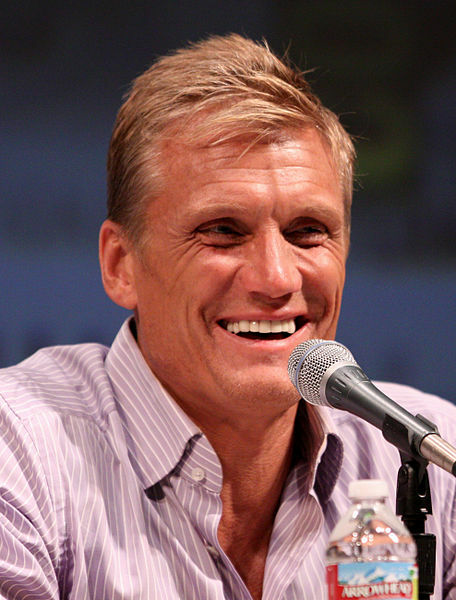 As a big fan of Sylvester Stallone’s “Rocky” series, I could not help but notice similarity between the German decathlete Pascal Behrenbruch and the Swedish actor Dolph Lundgren, who played the unforgettable Ivan Drago in Rocky IV. The German champion is one of the world’s best decathletes. 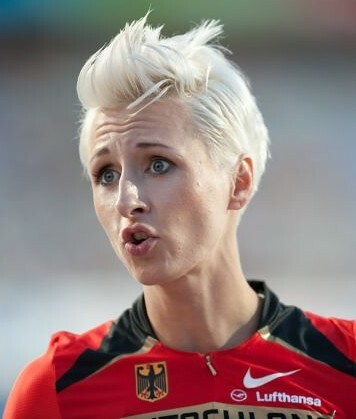 After two consecutive finals appearances in the World Championships (2009 and 2011), the 1.96m-tall German won the European Championships gold in Helsinki last July. He amassed an impressive 8,558 -point personal best to clinch the gold medal. However, his Olympic debut was fraught with disappointment as he failed to match his Helsinki standard. 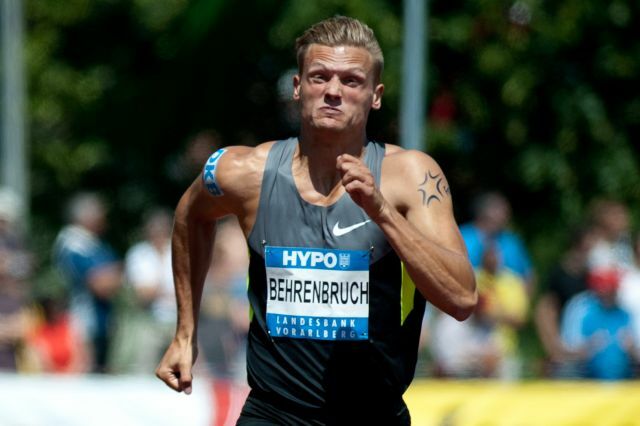 Behrenbruch could only finish in 10th place in London. If athletics were more like professional basketball, where players take on colorful nicknames, “Ivan Drago” or “Drago” would be appropriate! This is historic. 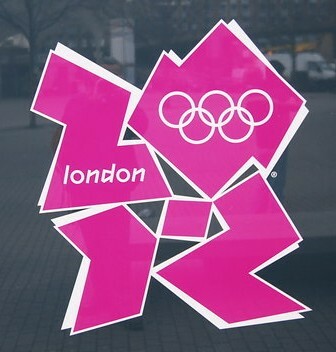 Saudi Arabia will be sending two female athletes to the London Olympics. The oil-rich Middle Eastern kingdom was the last to heed the International Olympic Committee’s (IOC) moves to end sexual discrimination in sport, following Qatar and Brunei. Judoka Wodjan Ali Seraj Abdulrahim Shahrkhani and middle distance runner Sarah Attar will the first Saudi female Olympians. This clip by TalkSport is tremendously funny. Watch how they enliven sports like equestrian, snooker, and golf with such heartfelt commentary! In this day and age of Facebook, Twitter, and broadband connections, it is a lot easier to be a sports fan. One can subscribe to their favorite athlete on Twitter and Facebook, and get instantaneous updates straight from those sports personalities. Social media work hand-in-hand with traditional media to create a multi-dimensional sporting experience. 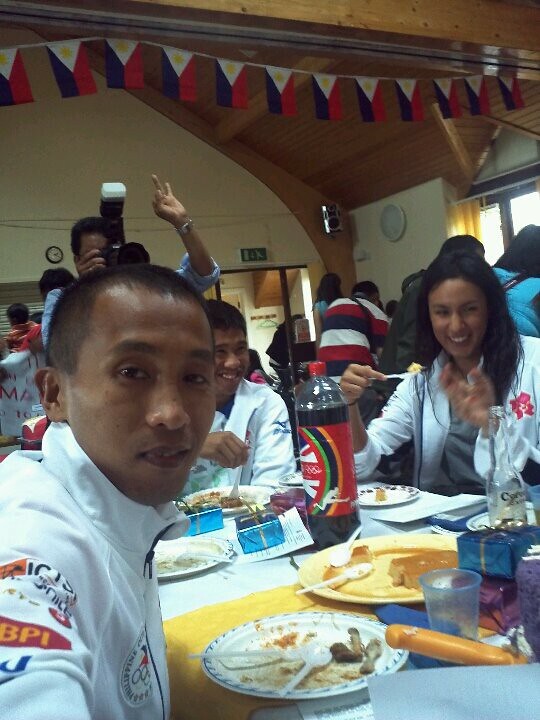 Olympian Rene Herrera and journalist Ed Lao share some of their photos from the hustle and bustle of faraway London. For more London 2012 updates, please subscribe to Rene Herrera’s Facebook page. I was ten years old when boxer Mansueto “Onyok” Velasco won the silver medal at the Atlanta Olympic Games. Even though I have hazy memories of the fight, I can still feel the disappointment. Since then, our best Olympic hopes had fallen in the last three editions of the quadrennial event. Like the rest of the nation, I kept my hopes up each time our fancied amateur boxers and taekwondo jins donned the national colors in Sydney, Athens, and Beijing. But an Olympic gold, much less a medal, has remained elusive. I find it farcical each time our sports officials and politicians dangle cash incentives to our athletes, months or weeks prior the Games. Although it would surely add to the motivation for doing well, training for Olympic Glory takes more than just financial rewards. Even if our athletes excel in regional-level competitions, the international scene is several notches higher. You can’t turn a Southeast Asian Games medalist into an Olympic contender overnight. Our propensity for cramming is not a tried and tested approach to Olympic success. Amidst all the internal bickering in Philippine sports and its structural flaws, I found myself disillusioned in the run-up to the London Olympics. I have written numerous articles on past Olympic champions from other countries. Except for the sporting feats of our past champions, but my mind goes blank each time I juxtapose the Philippines and the London Olympics. As an athlete myself, I’ve always been enamored the Olympic ideal. The founder of the Modern Olympics, Baron Pierre de Coubertin, makes an apt description: “The important thing in the Olympic Games is not winning, but taking part. The essential thing in life is not conquering, but fighting well.” In the years I’ve spent devouring all sorts of media about the Olympics, I consider John Stephen Akhwari’s and Derek Redmond’s experiences as the most moving. Akwhari was a Tanzanian marathoner who finished dead last at the Mexico Olympic Games in 1968. Despite a painful knee injury, he hobbled on to the finish line to the loud cheers of the few spectators and volunteers left. Redmond competed in the 1992 Barcelona Games. At the 400m dash semifinal, he pulled a hamstring midway into the race. In tears and in obvious pain, the Briton bravely limped to complete the race, as his father ran to him from the stands. Aside from sports like professional boxing, basketball, billiards and bowling, being a Filipino athlete is not a lucrative profession. Government support and public interest are scant, paling in comparison to the more established sporting nations. The national training facilities, at best, are spartan. To reach for one’s Olympic dreams is a struggle both athletic and financial. 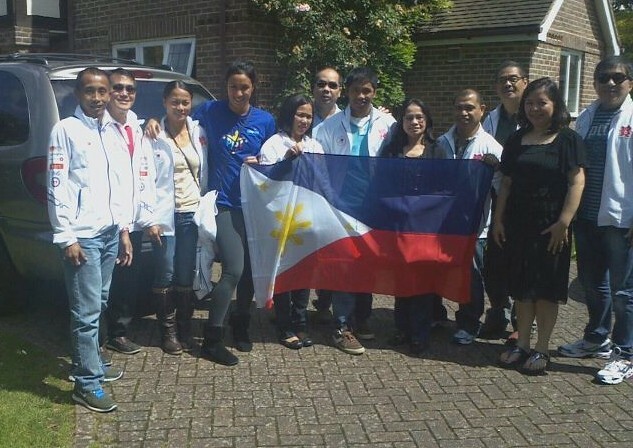 As a Filipino, I’m hoping for a good result in London. Deep down, however, I know for a fact that another Olympic shut-down is possible. There will be finger-pointing when this happens, perhaps even a congressional inquiry. Expect to hear the usual pronouncements of new nation-wide sporting program. It’s all part of the vicious cycle of Philippine sports. Our sports officials can bicker all they want, but one thing is for certain: our athletes are doing their utmost best under the circumstances The distinction of competing at the world’s highest stage is an achievement in itself. The beauty of sport lies in the unexpected. Sometimes, the enormity of the moment could enable an athlete to transcend and deliver. Perhaps if the stars align in favor of the Philippines, one of our athletes might just reach the podium. I long for the day when a Filipino finally tops an Olympic event. When I do see our athlete stand on top of the podium and hear “Lupang Hinirang” play in the background, I might just shed tears of joy. Until that moment comes, I’ll be keeping my fingers crossed and hoping for the best. To the Filipino Olympians, godspeed! The high jump, as with all technical events, is a tough event to call. In this article, I’ll be doing my utmost best to provide the facts and make a sound judgment on my predictions for the upcoming London Olympic Games. Anna Chicherova Анна Чичерова (2.02m SB, 2012 world leader) is the hands down favorite for the Olympic title. The Russian has figured in the top three of all major championships since 2007, crowning her gradual rise with the world title in Daegu, in an epic duel with archrival Vlašić. The once dominant Croatian has taken a low profile since the 2011 world championships, opting to skip the indoor season. 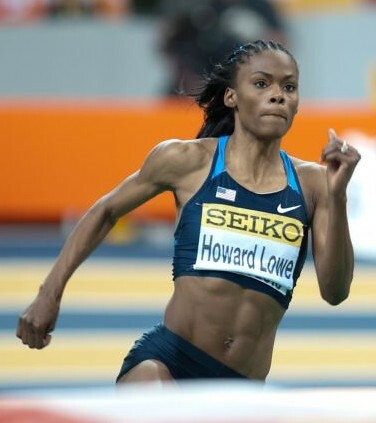 Chaunté Lowe (1.98m SB in 2012), the American record holder and the 2012 World Indoor Champion, has shown fine form this year. So has Svetlana Shkolina (Светлана Школина), who has recently cleared a new outdoor personal best of 2.00m in Eugene. The defending Olympic champion, Tia Hellebaut, has gradually recovered her old winning form since making a comeback from pregnancy and retirement. To date, the Belgian has a season’s best of 1.96m. Chicherova is my pick to win the London Olympic gold medal. She has played bridesmaid for so long. At 29-years old and having played bridesmaid for so long. London should be the Russian’s playground – and the crowning glory of an illustrious career. In the battle for the minor medals, Lowe is ahead of the pack. 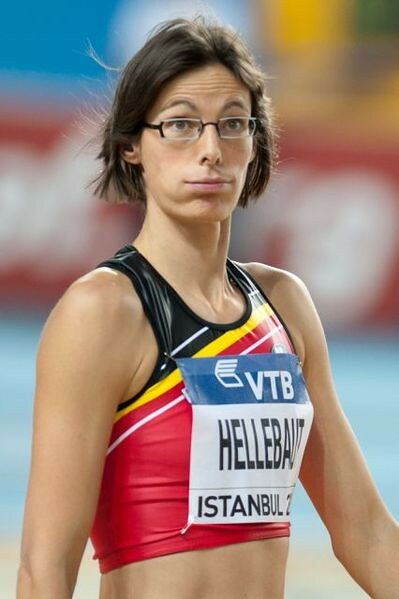 Hellebaut, should she recover her old form, and the evergreen Antonietta Di Martino have strong chances to land a podium spot – although beating Chicherova and Lowe seem far-fetched. The in-from Shkolina, a resurgent Emma Green-Tregaro, or the comebacking Ariane Friedrich might spring a surprise. Vlašić’s recovery from an ankle injury has been hampered by a bacterial infection; hence, she remains “doubtful” for the London games, according to news reports. The Croatian, with a personal best of 2.08m from 2009, trails only world record holder Stefka Kostadinova in the all-time list. Chicherova is fourth in the list, with her 2.07m clearance in Cheboksary last year. Friedrich, recovering from a torn achilles’ tendon, has a classy personal best of 2.06m from 2009. Lowe (2010) and Hellebaut (2008) have identical best marks of 2.05m. Di Martino has a lifetime’s best of 2.03m (2007). 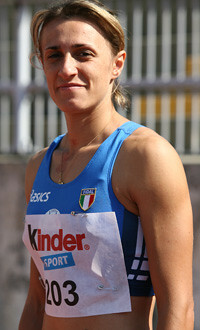 In the past three editions of the World Championships, the women’s high jump top three was spread amongst just four women (Chicherova, Vlasic, Di Martino and Friedrich). Whereas, in the men’s competition, eight different athletes figured in the top ranks (Williams, Dmitrik, Barry, Rybakov, Iaonnou, Spank, and Bednarek). Unlike the women’s event, the battle for men’s gold is wide open. The United Kingdom’s fast-improving Robert Grabarz is currently in pole position, with his world-leading 2.33m clearance from the Rome Diamond League. 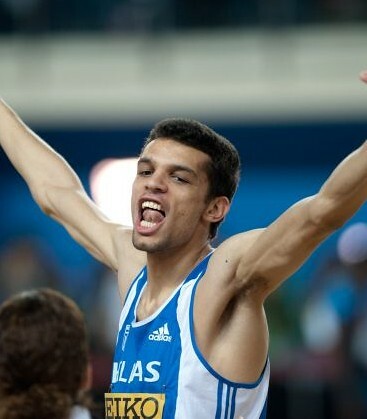 The American Ricky Robertson (2.32m) and the surprise 2012 World Indoor Champion, Dimítrios Chondrokoúkis Δημήτρης Χονδροκούκης (2.32m), round up the next two. 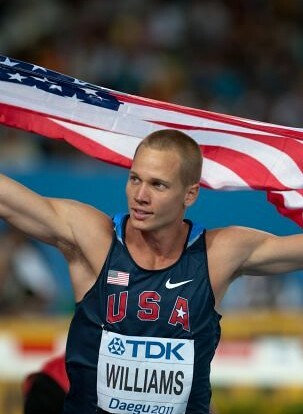 The World Champion from Daegu, Jesse Williams, has a season’s best of 2.31m. 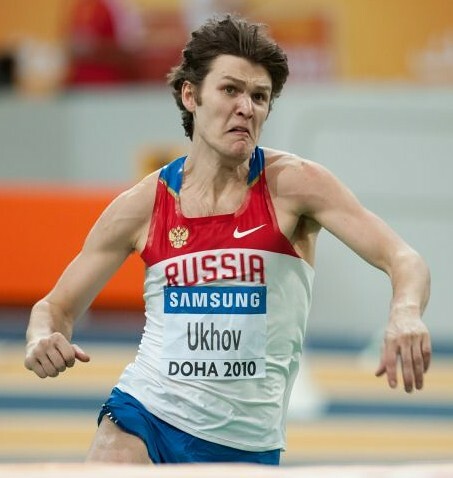 To date, the highest ranked Russian is the mercurial Ivan Ukhov (Ива́н У́хов). Expect the other members of the crack Russian high jump corps (Aleksey Dmitrik Алексей Дмитрик, Yaroslav Rybakov Ярослав Рыбаков, Aleksandr Shustov Александр Шустов, and Andrey Silnov Андрей Сильнов) to turn in impressive marks as the their country’s outdoor season unfolds. The Bahamian Trevor Barry, the Bahraini youngster, Mutaz Essa Barshim, and Chondrokoúkis, are also prime contenders for a spot on the podium. 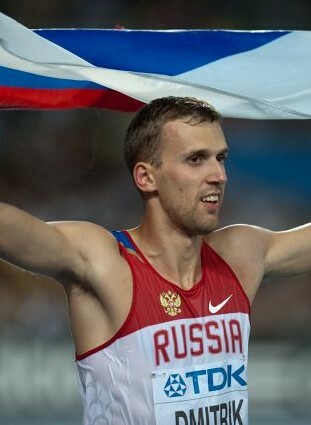 Silnov is the defending champion from Beijing. In terms of outdoor personal bests, Silnov leads the pack with 2.38m from 2008. Williams is a 2.37m (2011) jumper at his best. 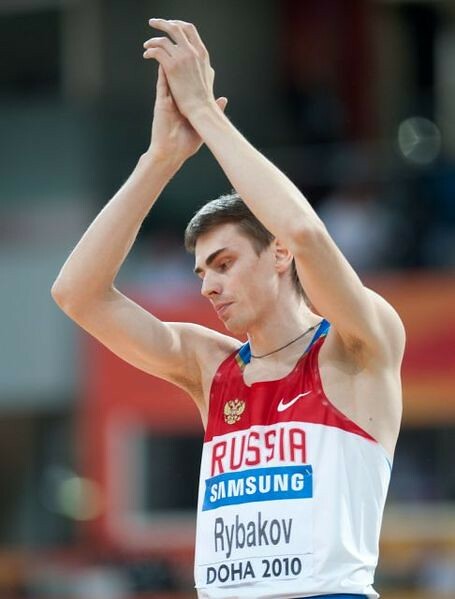 Ukhov (2010), Dmitrik (2011), and Shustov (2011) has each sailed above 2.36m. With such a lineup – and with no hands-down dominant force – selecting a definite top three is terribly difficult. In light of the depth of talent, anyone could rise to the ocassion and crown himself Olympic champion. Barring any unforseen hitches, Williams, an experienced international campaigner and the reigning world champion, should have a slight advantage over the others. I’m banking on a narrow Grabarz win over Williams and the rest of the Russians. The Philippine sporting scene is mostly patterned after the United States model. Athletes develop from the grassroots level to the collegiate ranks. Academic institutions play a major part in honing our sporting champions, unlike the club and sport school systems in Europe. Education takes precedence over sports, since a professional sporting career is a rarity outside the Four B’s: Basketball, Bowling, Billiards and Boxing. The Leyte Sports Academy is a unique institution. It adheres to a special sports curriculum of the Department of Education. Established in 2010, it provides secondary school education to athletically-gifted students. A feature by Jessica Soho’s “Kapuso Mo” show provides a glimpse of the LSA’s novel approach to education and sports. Student-athletes wake up before dawn to train for their respective discplines: athletics, swimming and boxing. My high school coach, Edward Sediego, handles the athletics program of LSA. The LSA shoulders the costs of the students’ food and sporting equipment needs, as well board & lodging. In fact, the living quarters of the student-athletes are perched right on top of the classrooms. The training facilities are sufficient by Philippine standards. An Olympic-sized swimming pool, a boxing gym and an athletics stadium are easily accesible. However, as shown by Soho’s feature, some of the most vital training equipment like boxing gloves are quite worn out. The choice of sports is a noteworthy move. 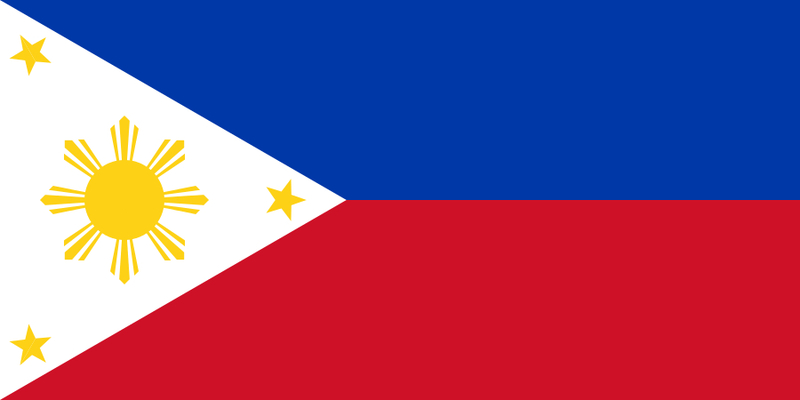 The Philippines has won nine Olympic medals since its first appearance at the 1924 Paris Games. All of these medals came from boxing (2 silvers, 3 bronzes), athletics (2 bronzes) and swimming (2 bronzes). Our country came tantalizingly close to winning its first Olympic Gold medal in 1964 and 1996, where Anthony Villanueva and Onyok Velasco lost closely-fought bouts, respectively. Athletics and swimming are medal-rich events, where Filipinos have achieved some measure of success, albeit in the distant past. The Filipino sporting potential in those three sports are huge – the prospects for much-bigger international success is astounding, considering our young population of one hundred million. This early, LSA students have reaped success in national level competitions like the Batang Pinoy Games and the Palarong Pambansa. John Smith struck silver at the Batang Pinoy boxing competition last year. Vivencio Cabias emulated Smith’s feat, as he cleared 3.11m in the pole vault, en route to silver medal at the recently concluded Palarong Pambansa. The LSA, with its unique, scientific, and holistic approach to grassroots sports development has taken the concept of the Filipino student-athlete several leaps forward. This no-nonsense focus on honing one’s skills, while maintaing certain academic standards, is unparalleled. It gives the LSA students a definite competitive advantage as they progress from the grassroots level to the collegiate, and ultimately the elite ranks. The youth of today are the champions of tomorrow. I must admit that I’ve never felt the Palarong Pambansa (the Philippines’ premiere elementary and secondary National Championships) vibe – until now. This is understandable, considering the fact that I had just hung up my spikes. Prolonged exposure to anything athletics-related (and to smart/eloquent/sporty news correspondents!) might result in a sudden change of heart. More importantly, I did not get the chance to compete in the Palaro back in high school (with my then measly personal best, I would have wilted under top notch competition). In the past few years, I’ve read many news articles about the Palaro – often with an air of disinterest. This year’s coverage of the grassroots sporting event has improved exponentially. For a general overview of the Palaro, I turn to the Rappler. And since I’m an athletics man to the core, I satisfy my track & field fix from the blog Pinoymiler and the official Facebook page of the Philippine Amateur Track & Field Association (PATAFA). Kudos to Maria Ressa’s “The Rappler” for its far-reaching coverage of the games. The Rappler’s sizable online footprint (Twitter, Facebook, Youtube) makes it a potent force in media. If I am not mistaken, this is the most extensive media coverage of the Palaro to date. The hardworking guys of Pinoymiler have been providing timely updates about the centerpiece athletics events. Airnel Abarra, the lone Pinoymiler member in Lingayen, has continuously turned in incisive reports on the various disciplines. Such detailed, sport-specific accounts are invaluable. 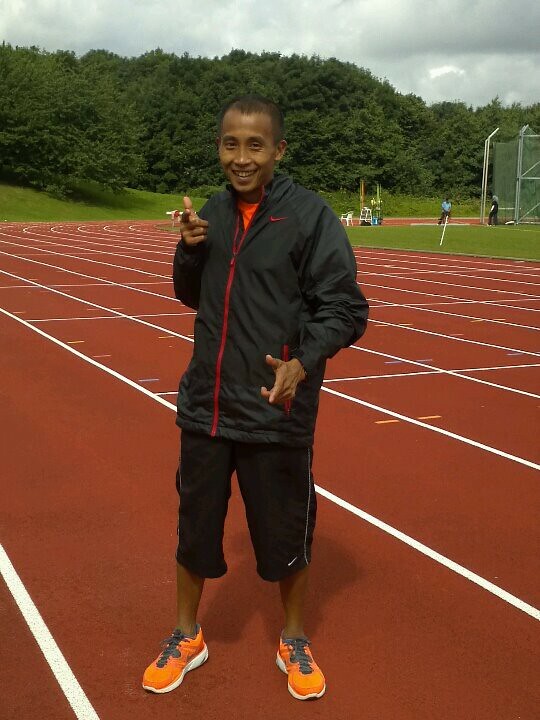 Pinoymiler’s updates and photos are posted real-time. As they say, two is better than one. 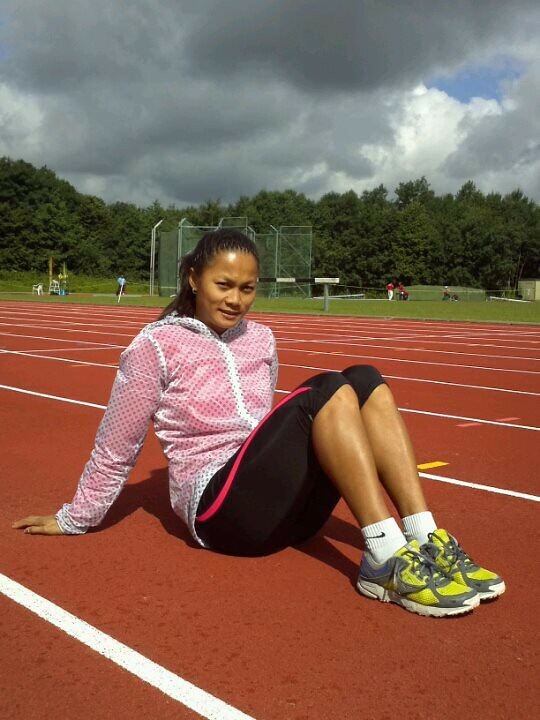 National team coach Roselyn Hamero has been tediously posting the results of each heat, qualifying round and final event in the athletics competition, through the PATAFA Facebook page. Like Pinoymiler, the scanned, handwritten results are posted in real-time. Video clips of the events are also available. Even if I’m stuck in the air-conditioned confines of my Makati office, I get constant news feeds from these three outfits. It’s the closest I’ll get to being in the thick of action. To all the participants of the Palarong Pambansa, godspeed! Thank you to the Rappler! I have much respect for Maria Ressa’s Rappler. It’s a no-nonsense approach to journalism, devoid of the sensationalist streaks rampant in today’s local news outfits. Coming in the wake of my recent retirement from the sport I hold dear, Baldoza’s article bears a subtle tinge of irony. Despite the end of my competitive days – and my athletics dreams – it is heartwarming to know that people actually read the stuff I write. Perhaps there really is hope for Philippine athletics, no matter how minute. To be able to qualify for Olympic-level athletics, the aspiring athlete must meet a particular set of performance standards in specific span of time. For the men’s 100m dash, in example, there are the “A” and “B” standards, 10.18s and 10.24s, respectively. Ralph Soguilon’s 100m dash national record at 10.45s is more than two-tenths of a second slower than the “B” standard – light years away from an outright Olympic slot. Such is the case for most of our national records. Amongst our elite athletes, Marestella Torres is the lone exception. En route to winning the 2011 SEA Games Long Jump gold, Torres went beyond the 6.65m “B” standard by six centimeters. Her 6.71m national record is more than enough for an outright Olympic slot. The Philippine Daily Inquirer ran a story about Marestella Torres and Rene Herrera being given the mandatory athletics slots* for the 2012 London Olympics. I was particularly disturbed by the nonchalant tone. There was hardly any mention of the Olympic entry standards, save for single line from Go Teng Kok. Has Philippine athletics sunk so low that not qualifying for an Olympic slot has become the norm? It’s sad to say that the answer is a resounding yes. Filipino track & field athletes have fallen so far behind the curve. Blame it on the sports officials, the media, the Philippine propensity for basketball or corruption: the fact remains that we are at the bottom of the athletics heap. If our homegrown boxers, swimmers, archers and taekwondo jins can bag Olympic berths, I’m sure our track & field athletes (with ample support, of course) can do the same. One can harp about bagging dozens of medals in the Southeast Asian Games or dominating the general standings, even (think about the 2005 Manila SEA Games). But this doesn’t necessarily translate into Olympic success – or at the very least, Olympic participation. 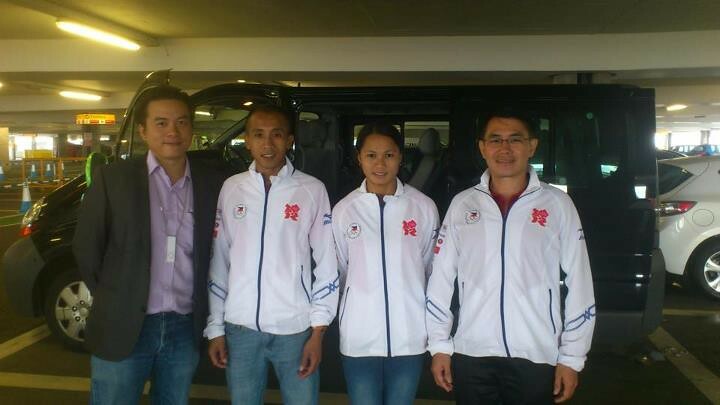 News of the Philippines fielding the smallest Olympic contingent in recent memory has been met with indifference. In contrast, the SEA Games debacle went, for a time, into the national headlines. So long as our athletes struggle to even qualify for the world’s most prestigious sporting spectacle – as long as we prioritize low-key regional meets over the biggest stage of sport – I’m afraid that our dream of Olympic Gold will be no more than a far-flung fantasy. * – Torres’ slot could be given to Melvin Guarte, should Torres’ 6.71m is formally recognized as meeting the “B” standard.